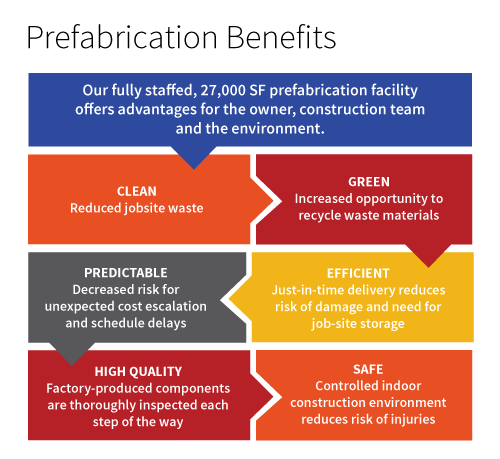 Prefabrication improves the project delivery process in terms of enhanced safety, quality, efficiency, waste reduction, schedule maintenance, protects delicate lighting fixtures, and more. We support our field forces with our fully staffed, 27,000 SF prefabrication facility, located at our headquarters office in Garland. 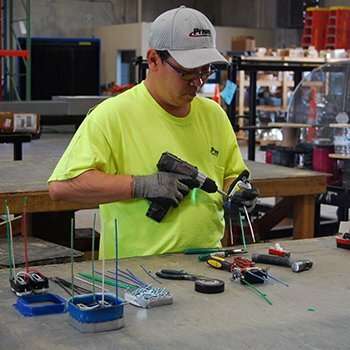 Our extensive experience with prefabricated assemblies includes electrical panels, head walls, foot walls, underfloor wire runs, wire racks, patient restroom pods, wall rough-ins and many others. 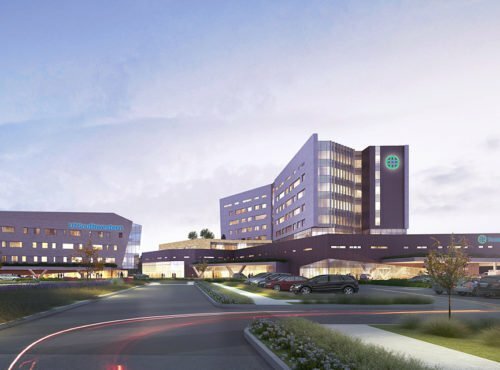 Ground up construction for a new acute care hospital in the booming Frisco, Texas market. Our prefabrication process begins during preconstruction, where opportunities are identified and our VDC group begins laying out repeating elements in 3D. Electrical and mechanical rooms are also detailed in 3D. Next, drawings are sent to the engineer for approval and then to our prefabrication department. The construction team works with prefabrication to ensure the construction schedule is incorporated into the prefabrication plan. When ready for install, prefabricated elements are shipped to the site. Large items are carefully wrapped. Smaller, repeating elements are shipped in Prism-branded crates with a detailed installation drawing of the individual room or area of the site for which the elements are intended.